Learn to follow your own passion, deal with grief and depression, face your fears, and develop strength through adversity. Because when pianos can swim, boys own forests, and a girl can become the queen of Unwinderly, anything is possible. ~A collection of seven stories that will whisk you away to fantastical places. 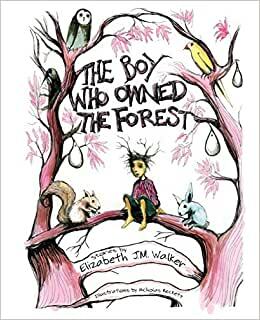 Start reading The Boy Who Owned the Forest on your Kindle in under a minute. 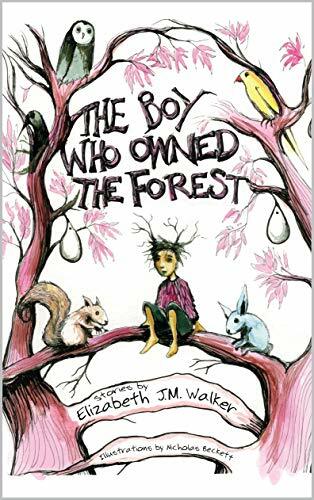 The Boy Who Owned the Forest is a wonderful collection of seven fairytale-like stories that will whisk readers away to fantastical places. Each tale is unique and shares valuable lessons and themes, whether it be following your own passion, dealing with grief and depression, finding your own way, facing your fears, developing strength through adversity, the importance of adventure, or simply the need to let go and move on. Author Elizabeth J.M. Walker has a sublime understanding of stories that truly need to be shared with the world, while Illustrator Nicholas Beckett’s black and white drawings are expressive, and hauntingly beautiful. A must-have for anyone who loves to escape from the real world and delve into the unpredictable realms of fantasy. Bravo, Walker and Beckett! ~Sharon Ledwith, author of The Last Timekeepers and Mysterious Tales from Fairy Falls.